Senior or elderly patients –those aged 65 or older- make up a large percentage of the world’s population, and a large number of them suffer from chronic diseases and take medications or undergo procedures to treat them. It has been estimated that the elderly consume up to a third of all medications, and represent nearly 60% of all cancer patients. These numbers are expected to rise in the future, as the senior population keeps growing. And yet, despite the fact that some diseases predominantly affect elderly patients, most patients enrolled in clinical trials are still young. External Link: Why Do Clinical Trials Need Older and Diverse Participants? Clinical trials and the patients who participate in them play a vital role in the development and understanding of new treatments for all kinds of ailments. Since drugs and interventions can have different effects on the elderly than they might have on younger individuals, they should be properly tested on all the age groups that are likely to use them before being approved. This way, patients will be able to make fully informed decisions when the time comes to decide on a therapeutic option to manage any health condition. It is incredible important for clinical trials to include elderly patients, since the human body changes as we age, and seniors can react to treatments in a different way that younger people do, or suffer from different side effects. Since there are certain medications which are primarily used in elderly patients, researching their effects on this group can have ample benefits on medicine and science. Since many elderly patients also have concomitant diseases –that is, they suffer from more than one illness at the same time-, clinical trials are also useful to establish the interactions a drug might have with other medications that you take to manage different conditions, and how they can affect each disease and their respective symptoms. What Exactly are Clinical Trials? In clinical trials, volunteers or participants receive specific treatments, following a research phase carried out by the investigating team. The subject of a clinical trial can vary wildly, from simple lifestyle or dietary modifications, to trying new drugs or surgical interventions which have never been tried on humans, or ones that have been approved to treat other conditions and are now being tested to see if they can be used to treat a different illness. Clinical trials are carried out in phases, and each phase must be completed successfully before the research team can start working on the next phase; each phase will provide different data and answer specific questions regarding the treatment being tested. Phases range from 0 to IV, and they are designed to better understand how the treatment works, test its efficacy and safety, compare it against available therapeutic options, and measure its side effects and other potential benefits. Clinical trials are also regulated by the FDA and overseen by an Institutional Review Board, which ensures the safety of the participants and minimizes the risks inherent to testing a new drug or procedure. These regulations also monitor the welfare of the patients, and guarantees that clinical trials are conducted ethically. Do I have to Wait Until a Trial has Finished to Leave it? No. Most clinical trials –if not all of them- will require you to sign some paperwork and an informed consent form before being able to join in, but don’t worry: you will always have the right to leave a clinical trial at any moment you choose, for whatever reason. The process of the trial, and its possible risks and benefits must be explained to each participant before they sign the informed consent. However, you must keep in mind that in many cases, the treatments tested through these trials are experimental; this means that sometimes their side effects haven’t been thoroughly established. If you suffer from side effects during your clinical trial, or wish to abandon the trial for personal or any other reasons, rest assured that you will be allowed to do so. What Can I Gain From Joining a Clinical Trial? In this day and age, when science is making huge strides, you can find clinical trials testing treatments for a great number of different diseases. Many illnesses increase their incidence as people age, since in many cases, they are the result of the degeneration of the human body’s tissues and functions. Other diseases are brought on by unhealthy lifestyles which you might have led in your youth, and most types of cancer are also far more prevalent in senior patients. Some of the most common diseases in elderly patients are hypertension, arthritis, chronic obstructive pulmonary disease, diabetes, chronic bronchitis, and dementia –more specifically, Alzheimer’s Disease, Parkinson’s disease, obesity, depression, and osteoporosis. Up to 60% of all cases of cancer and 70% of cancer deaths occur in patients over 65 years old. As the percentage of seniors is expected to keep rising in the near future, it is likely that the number of cancer cases will also increase; this is a direct result of having a longer life expectancy. This poses a unique challenge to the healthcare system, since treatments and approaches will have to be adjusted to the needs of an aging population, and doctors will have to be familiar with oncology and geriatrics. The most prevalent cancers include lung, prostate, uterus, pancreas, colon, stomach, and bladder. Since so many cancer patients are seniors, it is very important to include them in clinical trials. Clinical trials can help develop new therapeutic alternatives which are more effective and/or have less side effects, improve quality of life for terminal patients or those with other ailments, and determine risk factors in order to prevent these types of cancer. Other diseases such as dementia, Alzheimer’s Disease, and Parkinson’s Disease are neurodegenerative diseases which are also predominant in seniors, and they represent a unique challenge for healthcare personnel. Since these diseases are currently incurable, clinical trials offer a way to research possible cures, prevention methods, new symptomatic treatments, and ways to improve the patients’ quality of life once the disease has been diagnosed. Ultimately, researchers hope to find a way to cure these diseases, and to be able to diagnose them early enough that treatment can be started before they become symptomatic. Given the high incidence of many of these diseases, clinical trials aimed at conditions which affect the elderly can be easily found. Finding new, more effective therapeutic options for conditions which predominantly affect senior patients can improve the quality of life and wellbeing of the elderly population. Clinical trials offer great advantages to the patients who enroll in them in regards to the quality of the treatment they receive. By participating in a trial, you establish greater control over your body, health, and treatment, since you it gives you the agency to choose a drug or intervention which could improve your health. Through clinical trials, you can also gain access to innovative treatments that aren’t available to the general population yet. Clinical trials also offer the chance to be treated by experts, since each trial is led by a team of doctors and researchers who work tirelessly to bring new scientific advancements forward. Each clinical trial seeks participants with different characteristics. The trial will have inclusion and exclusion criteria to choose who can participate in it, and these criteria can vary wildly. Some of the most frequent inclusion or exclusion criteria include age, gender, medical conditions, concomitant illnesses, and the treatments a patient has received in the past. Many people think of dark, mysterious labs when they think about clinical trials. But in reality, clinical trials are carried out at normal, everyday places such as hospitals, clinics, universities, and even your doctor’s office. This will depend on the type of clinical trial that is being carried out, the phase the trial is in, and who is conducting it. I’m a Caregiver. How Can I Help My Loved One Participate in a Clinical Trial? If you are the person in charge of caring for an elderly loved one, helping them find the right clinical trial can be a way to get more involved in their treatment and improving their quality of life. 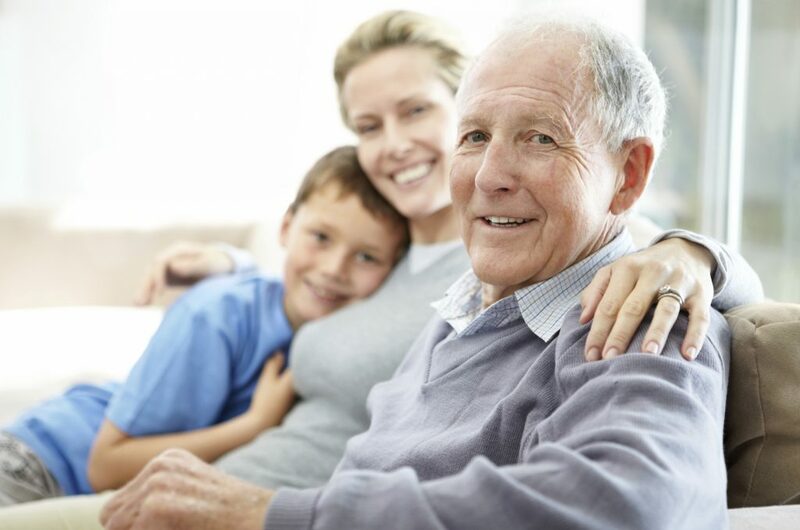 As a caregiver, you can play a fundamental role in helping your loved one participate in a clinical trial, by aiding them in doing the preliminary research to find a trial that suits them, asking their doctor about trials open in your area, and making sure your loved one makes it to their appointments.Once your loved one is enrolled, don’t be afraid to ask questions and express your concerns and suggestions to the research team in charge of the trial. I’m Interested! How Do I Find a Clinical Trial? Since clinical trials are so varied, it is almost certain that the right fit for you is out there. One of the first things you can do is contact your doctor and have them enquire about clinical trials that you might participate in. Another option is to establish direct contact with universities and hospitals, asking for information about clinical trials for which you are eligible, making sure to gather as much information as possible about the trial, what it’s testing, and the team that is leading it. Ask for help to conduct an online search, where you might find more results. Overall, clinical trials are a great way to have more control over your disease and ensure your future is a more healthy and comfortable one. For elders, especially, it provides the opportunity to get more answers about your condition and help science find new ways to treat illnesses, and to help coming generations in their quest to live a longer, healthier, and happy life.